Now that the season has turned to the crisp atmosphere of winter, it’s the perfect time to start cozying up by the fireplace, hot cocoa in hand, or to wrap yourself in your favorite blanket while sipping on the morning’s coffee. But best of all is enjoying all the warm baked treats that are so appropriate this time of year. 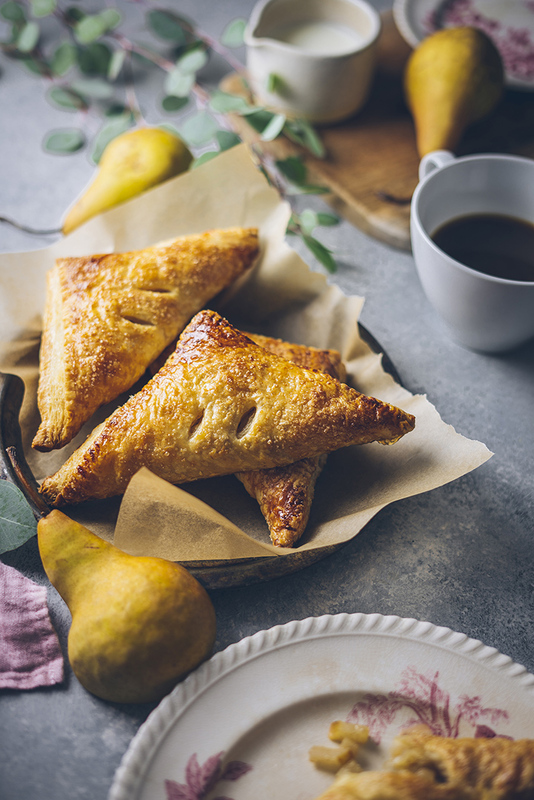 And hardly anything is better than a fresh batch of cardamom-spiced pear turnovers. 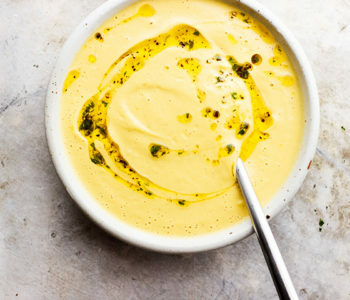 Unlike the bursting flavor of summer stone fruits and berries, winter fruit is rich but understated—the flavors need to be coaxed into fullness. 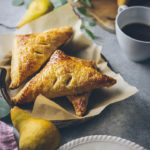 So, in this recipe I baked a batch of pears to release their wonderful taste while submerging them in spices and wrapping them in warm and flaky puff pastry. 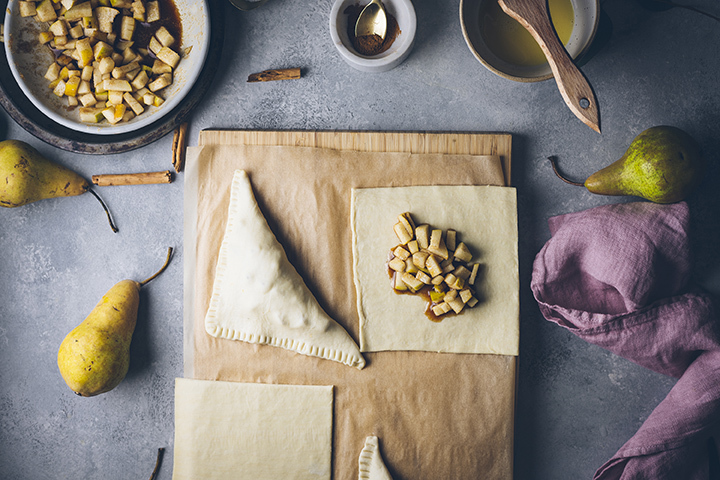 The sweet notes of the pears are enhanced by brown sugar, cardamom, orange, and cinnamon, while the pastry provides a buttery, flaky contribution that balances the textures at play. 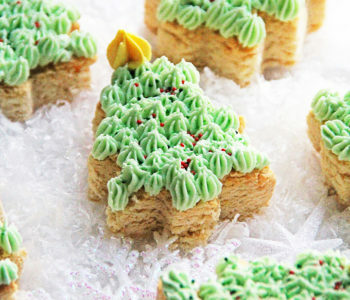 The result is a perfect handheld treat that is just the thing you should be making during this time of year. However, cooking these to perfection can be tough, especially when the extreme precision of baking is required. 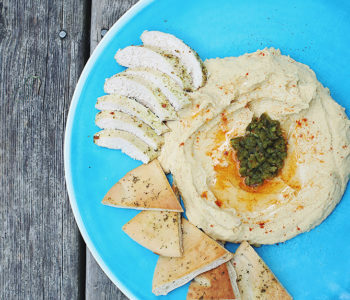 That’s where Wolf Gourmet’s countertop oven made this recipe so easy. 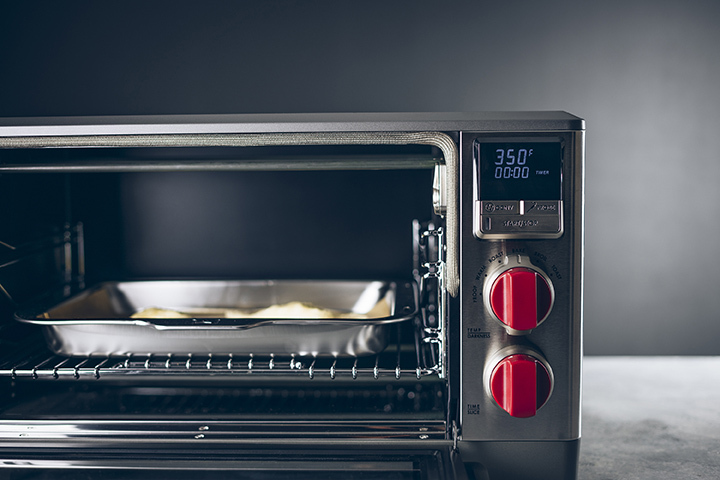 Theoven’s precise temperature control is finely tuned and uniquely calibrated to provide the perfect baking process every time. 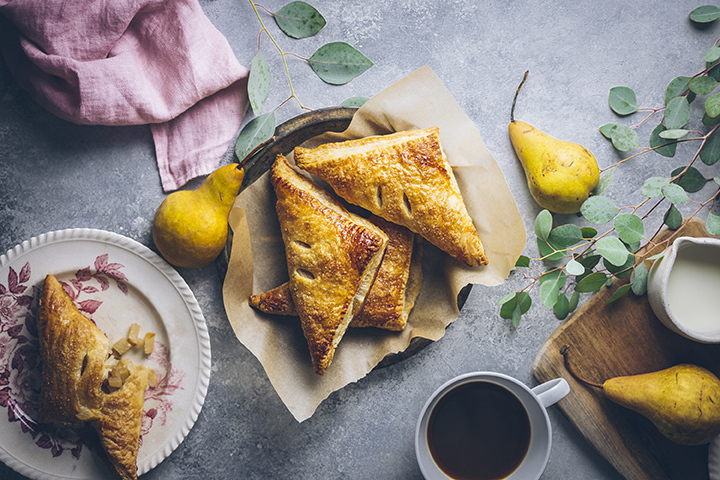 I simply selected the Bake mode, set my temperature and time, and these turnovers came out evenly baked and browned—basically perfect. This oven is a great addition to my kitchen, and already has gotten used for roasting veggies for soup and toasting bread for my morning’s breakfast. This oven also features a convection setting, which for those who like to bake is a total win! While this recipe calls for store bought puff pastry, I encourage you to keep an eye out for a local bakery that might sell it instead. I was able to grab some from my local bakery and the result was amazing. If you can’t find any locally, I encourage you to buy the best quality puff pastry that you can find, I promise that it makes all the difference.